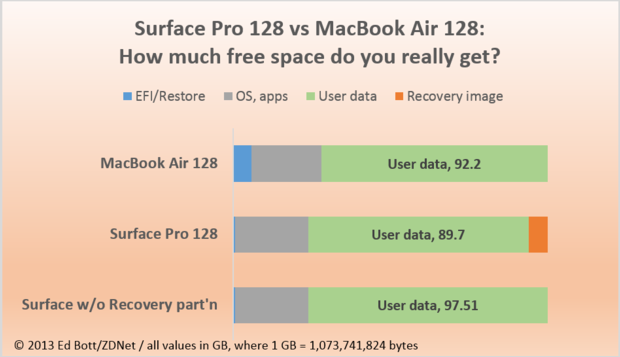 A couple of weeks ago there was a big old hoohar about Microsoft's Surface Pro, which would supposedly be arriving with very little internal memory available because the OS was meant to be taking over a lot of the internal storage. Well it turns out it's not all as bas as everyone thought! 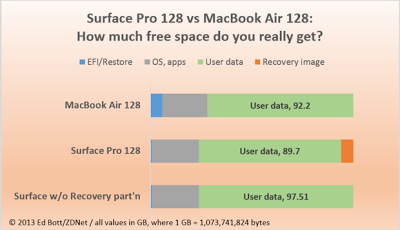 The picture above pretty much clarifies the situation and assuming you save your recovery image on a flash drive then you'll actually have over 5GB of extra storage on your Surface Pro then you would on a 128GB MacBook Air! LG Hong Kong have posted an official confirmation that the 4X HD, as well as the Optimus L7 and L9's will all get Android 4.1 Jelly Bean in the first half of the year! O2 UK has announced that they are currently rolling out the Andorid 4.1.2 Jelly Bean update to the Sony Xperia T! Blackberry have confirmed they will not be offering phones for sale in Japan any more. Apparently the company cannot justify the extra cost in translating their OS' to Japanese because there simply isn't enough demand in the country, with only 0.3% of phone users rocking their Blackberry's! Blackberry have said that they will support current users for the foreseeable future though! Three UK has announced that their new upcoming DC-HSDPA and LTE connections will be called "Ultrafast". Along with this there has been the announcement of the 'Ultrafast Galaxy S3', which is exactly the same as the HSPA+ version except it can take advantage of Three's new DC-HSDPA network! 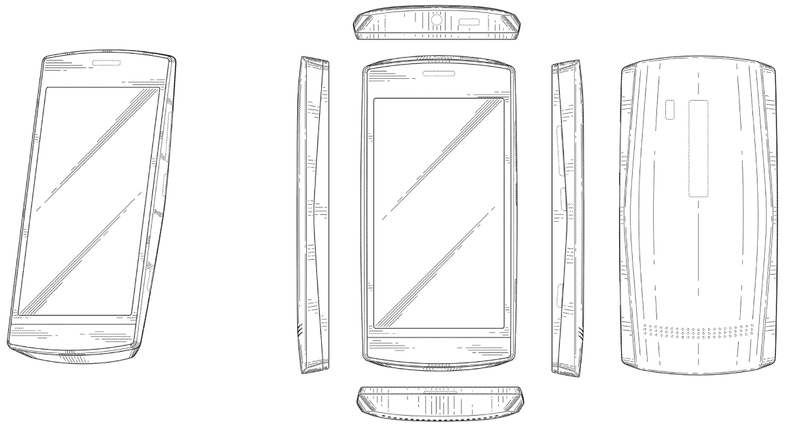 Nokia's much rumoured device with the huge camera module is being touted as the Nokia 1000 by some sites on the internet. This has become relevant because the device has supposedly popped up on a list of devices destined for China. Forbes have said that the Evasi0n jailbreak is the most popular ever with nearly seven million downloads in total thus far! The BBC Trust has announced that they have approved a 12-month trial which will allow shows to be broadcast online before they are shown on TV! The trial will allow up to a maximum of 40 hours of shows available online before they are on TV! The Nexus 4 has supposedly shipped over a million units now! If you believe that the XDA estimates are accurate! 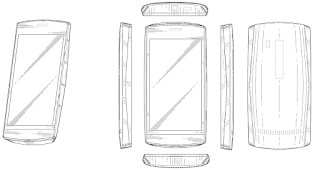 And finally, Nokia have been award a patent for a phone which has a curved backplate and an overall rather pleasant design! Given that we are expecting Nokia to unleash at least one new Lumia device on the world at MWC wouldn't it be pretty sweet if they offered us something like this?